An unidentified man carrying multiple firearms in his car was apprehended by authorities in Los Angeles on Sunday morning while reportedly on his way to the city’s annual gay pride parade, according to police officials. The intercepted attack happened only hours after a mass shooting in Orlando, Florida, wherein a Florida resident named Omar Mateen opened fire on a gay club, killing 50 people and wounding 53 others. According to L.A. law enforcement, there is no evidence that the two events were related. In addition to a considerable number of guns—including an assault rifle—that the suspect was carrying, police also found materials that could potentially be used to construct explosives. Early Sunday, Santa Monica police received a call about a suspected prowler near Olympic Boulevard and 11th Street. Patrol officers responded and encountered an individual who told officers he was waiting for a friend, according to a law enforcement source familiar with details of the arrest. That led officers to inspect the car and find several weapons – including three rifles, one of them an “assault rifle” — and a lot of ammunition as well as tannerite, an ingredient that could be used to create a pipe bomb, said the source. The car had Indiana plates. Los Angeles County sheriff’s officials said the suspect told police he was going to the pride parade to look for a friend. Authorities are now looking for that individual. The man carrying the aforementioned firearms was spotted by residents of the West Hollywood area after he was seen “loitering in the area” and knocking on doors, according to Santa Monica police spokesperson Saul Rodriguez. After he was caught, officers searched the suspect’s car—a white Acura—and removed a can of gasoline, a blanket, and other unidentified objects. Authorities stated that they are not aware of the intentions of the suspect, who is currently in custody. 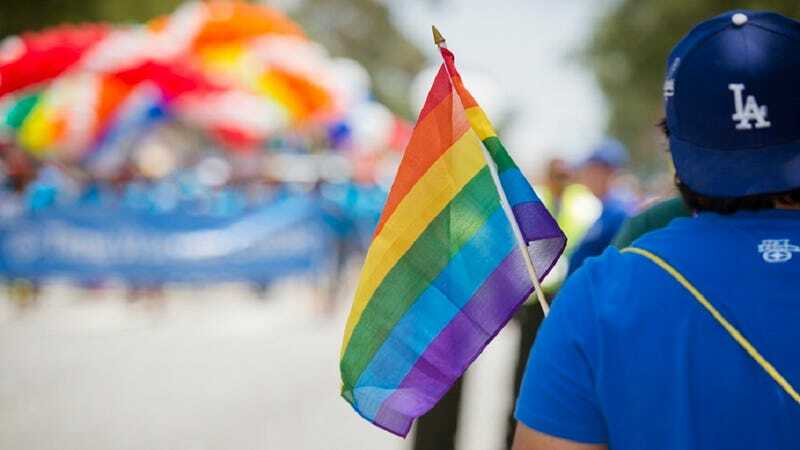 Despite rumors that the LGBT Pride parade and other related festivities would be called off in light of the mass shooting in Orlando, WeHo city councilwoman Lindsay Horvath stated that neither the city nor authorities believed that there would be any threat towards the event’s attendees. She also expressed her sympathies towards the citizens of Orlando.